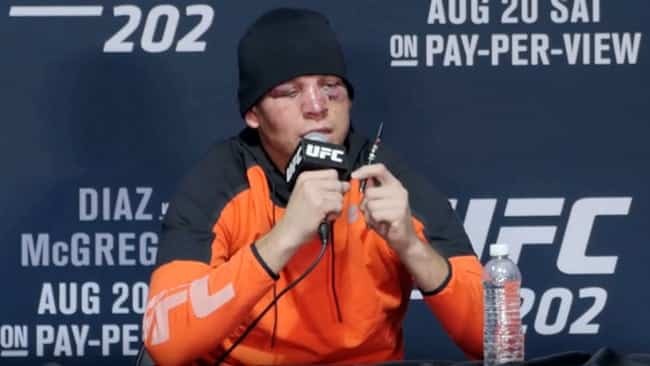 For those of you who don’t know, MMA fighter Nate Diaz has been embroiled in a scandal over his use of a pen-style vaporizer filled with CBD oil during the UFC 202 press conference. The controversy stems from the fact that CBD oil is one of 113 cannabinoids in marijuana. The CBD oil that is commonly used in vape pens doesn’t contain even a single trace of THC, the mind-altering compound in cannabis. CBD oil on it’s own has no psychoactive effect. Diaz’s future in the UFC has been up in the air ever since the controversial incident. However, the first bit of good news emerged yesterday when he was cleared of any wrongdoing by the Nevada State Athletic Commission, reports MMA Fighting’s Ariel Helwani. NAC tells me they will not impose a penalty on Nate Diaz for “vape-gate”, since it happened post-drug test. USADA still looking into it. Before the popular UFC fighter can get back into the octagon, he’ll have to be cleared by the U.S. Anti-Doping Agency, which is responsible for the UFC’s drug testing program. Under USADA guidelines, CBD is considered a banned substance when consumed above a certain threshold (150ng/ml) in connection to in-competition testing. The timeframe for in-competition testing spans from six hours before the fight until six hours after the fight. The UFC 202 press conference fell within that window. The USADA has yet to announce when they will make their final decision.